Happy Fiestas Patrias and Feliz Dieciocho to everyone! 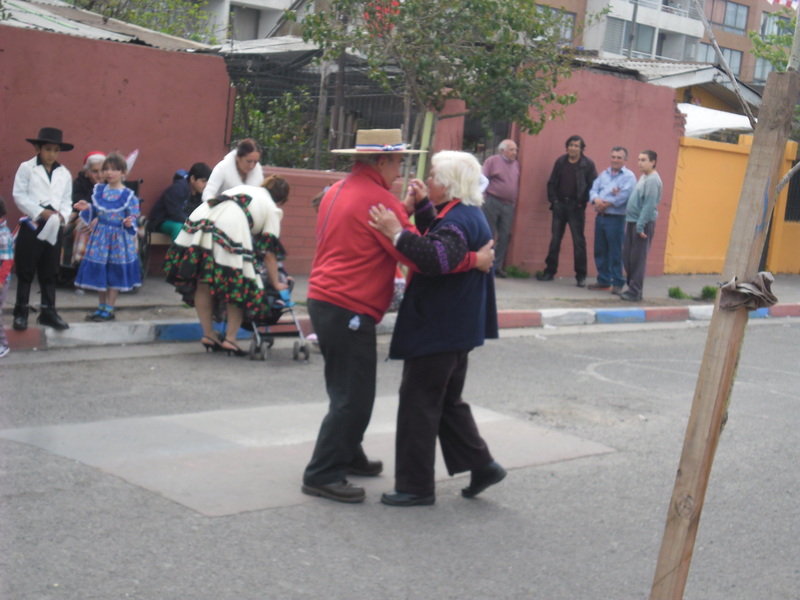 This is a special time in Chile that is celebrated by everyone from the young to the old. Empanadas de Pino and asados (BBQ) suddenly become our staple foods, the nights grow longer and merrier to the sound of traditional music filling the air, and in general the people smile more. The week of the 18th is filled across the nation with fondas and performances designed to unite the people to a common cause: Chile. Houses facing the road are required by law to display the national flag (though it is debateable how this is enforced, if at all) and draping across schools, apartment buildings, shops and inside everyday homes there is blue, white and red crepe paper decorations, folded and scrunched into numerous designs. 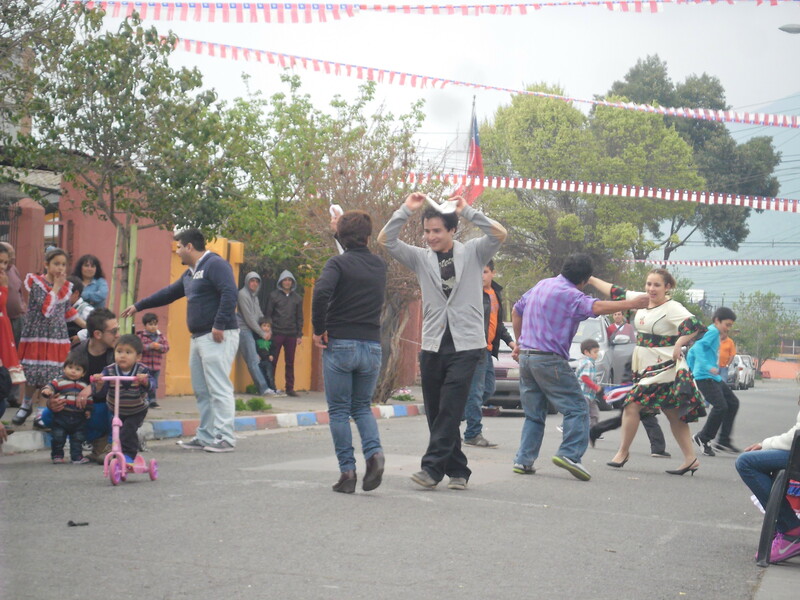 Last year we spent the morning at a street party near our house in Recoleta. At that time I’d been here only a few months with Emilio and I had felt more than a little ackward thanks to my lack of Spanish and my limited ability to cueca (it consisted of waving my right arm with a teatowel and nothing else). What I found refreshing – and still do – was that this was a day for everyone. The young and the old stood alongside the flaites and the middle class, those with money and those without – those bound together by nothing except their nationality. 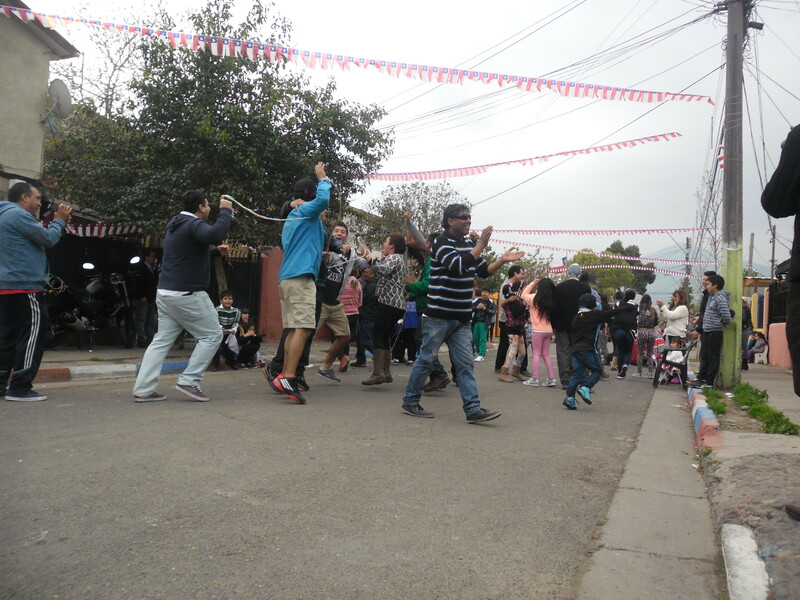 On this day the people laughed, danced and ate together in harmony, to the beat of Chile’s most uplifting accordians that blasted and rattled through ancient speakers so loudly that they became distorted remnants of a song. Luis, being the amazing dancer that he is (and show off!) 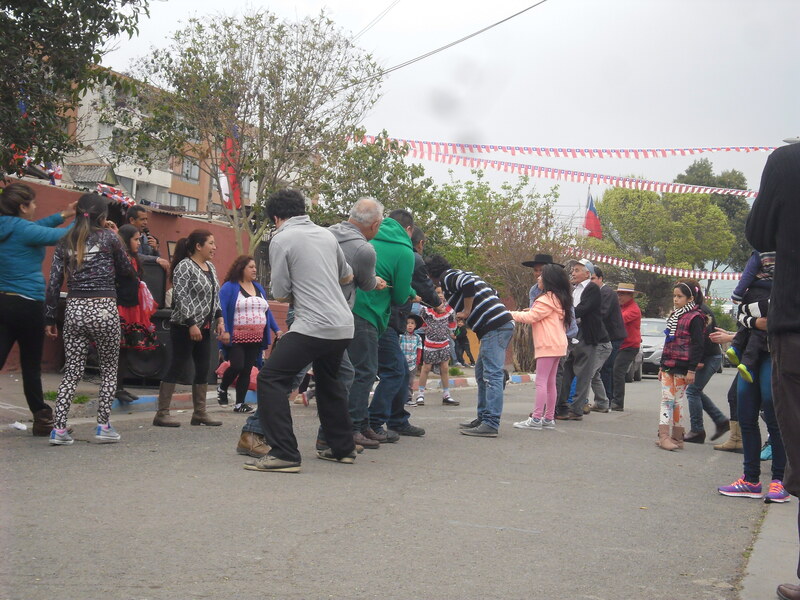 danced a fabulous cueca and joined in all the games such as a tug of war. At these times I stood to the side and fumbled my way through various questions, the most prominent being “what IS that” (Emilio’s sippy cup) and “what is IN it? !” (water). This year we are going to Luis’ father’s house for a late lunch, then we may see what is happening in Huechuraba. Tomorrow his brother is preparing a big party at home which will likely last all day and all night. If there is anything interesting I am sure I will blog about it! Keep safe everyone and enjoy your fiestas patrias!